Styling products, hard water, mineral deposits, chlorine and environmental impurities can leave buildups on hair over time, leaving it dull and greasy. 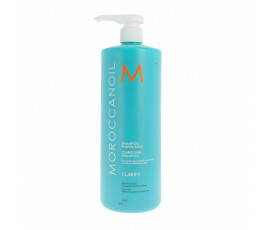 Moroccanoil Clarify restores hair and scalp, leaving them healthy and well-balanced. 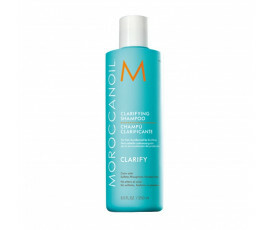 Enriched with Argan Oil, Avocado, Keratin and essential oils, Moroccanoil Clarify nourishes hair while soothing the scalp and controlling sebum production.